With its network of more than 560 million professionals, LinkedIn is one of the top platforms to advertise B2B online. Although most DMOs are primarily focused on consumers, for those destinations hoping to reach more meetings and event planners, LinkedIn provides an incredible opportunity to speak directly to these professionals. In this post, I will cover some of the basics of advertising on LinkedIn, including ad types, targeting options, and a few limitations to using LinkedIn ads. With a little set-up and testing, DMOs can use the platform to their advantage. LinkedIn offers a variety of ad formats to choose from. In our experience, the most applicable to DMOs are Sponsored Content and sponsored InMail. Sponsored Content appears in the news feed as users scroll through LinkedIn. They use a combination of pictures and text to get your message across, with a link for users to click through to your site. Use attention-grabbing images that stand out in a user&apos;s feed, and keep the messaging simple and to the point. You&apos;ll also want to be sure to use a clear call to action to encourage users to click on the ad, and communicate what they can expect on the landing page. The landing page may include a short guide highlighting what your destination has to offer meeting planners, and a form to sign-up for an industry newsletter. You may also want to include names and contact information for staff members who can be contacted to help answer specific questions about venues or services. Don’t forget to create multiple versions of each ad, tweaking imagery, headlines, and calls to action to see what resonates best with the audience you are targeting. Sponsored InMail works a little differently. 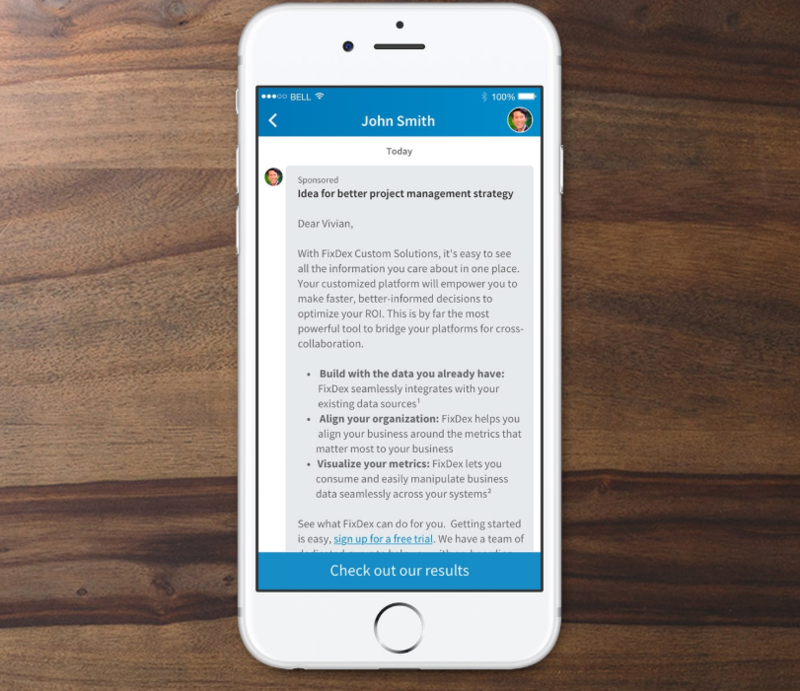 This ad format sends a message to users LinkedIn inbox when they are active on the platform. These can be more appropriate for reaching prospects who have already signed up for a newsletter or been in touch previously, but have not finalized the location of their event. Use the recipient’s name in the email to make it more personalized, and keep the body of the email concise. Finally, use a clear call to action that outlines the steps you want the user to take next in considering - and hopefully choosing - your destination. One thing to keep in mind with Sponsored InMail is you pay on a per-send basis, not per click. So you pay regardless of whether a user opens your ad or clicks on any links within it. Compare this ad spend structure with sponsored content, you can opt to pay when users click on your ad—a cost-per-click basis—or a cost per thousand impressions model. Once you have decided on an ad format, select the audience you want to target. LinkedIn’s targeting options are what set it apart from other social media platforms like Facebook and Instagram. In addition to the normal demographic targeting options like location, age, and gender, LinkedIn has a wealth of targeting options that utilize all of the information that users volunteer on their profile. These include job title, company name, company size, member groups, degrees, member skills, and much more. Unlike Facebook, where only some users bother to put their professional info on their profile, LinkedIn is designed for users to share rich details about their professional careers and experience. In the case of meeting and events planners, the targeting options our team has had success with include job title - meeting planner, conference planner, event managers, etc. - along with professional certificates such as certified meeting planners and professionals, and national and state member organizations of meeting and event planners. Additionally, if you have any email contact lists from industry newsletters, these can be uploaded to LinkedIn as well. Called a matched audience, LinkedIn will then match those emails to user’s profiles and allow you to cross-sell or up-sell to people who have already engaged with your destination to some degree. Finally, no discussion about targeting would be complete without bringing up remarketing. Similar to Google Ads and Facebook, LinkedIn has a tag called the Insight Tag, you can place on your site that will cookie users and match your site visitors to LinkedIn profiles. This unlocks the option to show ads with more specific messaging exclusively to users who already engaged with your site, but did not complete a conversion action like signing up for a newsletter, emailing sales staff, or submitting an RFP. Once your website audience reaches at least 300 LinkedIn members you can start serving ads to those users. Because choosing a meeting location is a lengthy process, it is invaluable to have the ability to re-engage with meeting planners who have previously visited your site, but did not move past the initial consideration phase. Remarketing can be the impetus that pushes planners to take action and contact your sales team or submit an RFP. So what’s the catch? Advertising on LinkedIn is not for everyone. In particular, the costs are high enough that smaller DMOs can be priced out. CPCs can vary vastly based on the audience you end up going after, ranging anywhere from a little under $6 on the low end to as high as $10. Through our LinkedIn rep, we learned the average CPC across all advertisers is around $10. This is because LinkedIn offers such specific audiences. As it provides a wealth of data that covers many aspects of the professional market, there is a bit of a premium to get clicks using this proprietary data. On top of that, LinkedIn is not a set-it-and-forget-it tool. Users can expect to invest some time to become familiar with the LinkedIn Ads Manager to set up your initial campaigns. Furthermore, once everything is live, performance should be monitored to determine which targeting options and ad combinations are delivering the best results. Budgets should be tweaked and poorer performing ads should be paused accordingly. All this takes time, so if your DMO has a small team, you can re-evaluate the advertising you are currently running and shift around the ad spend and management time, or consider having an agency manage your LinkedIn campaigns for you. Don’t forget to add tagging (UTM parameters) to the URLs in your ads, so that you can identify traffic on your site from LinkedIn ads and analyze on-site engagement with Google Analytics or other analytics tools. Keep you landing pages simple—make it clear what actions you want the user to take, and don’t have too many distractions or other links on the page that could divert users to less relevant pages. For those DMO’s hoping to reach more meeting and event planners online, LinkedIn offers much more robust options than Facebook or even Google. With the knowledge you have just gained on ad types, targeting options, and a few other tips, you are armed with everything you need to test out a couple campaigns. Go out there and increase the number of meeting planners who want to hold their next event in your destination! 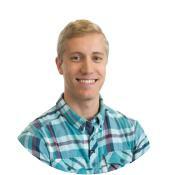 Ben Holman works with our Search Engine Marketing team creating pay-per-click advertising campaigns and utilizing budgeting and analytical tools to help our clients get the most bang for their buck on Google, Bing, and social media. He enjoys using Google and other tools to help travelers experience their latest favorite vacation in parts of America that are all new to them.